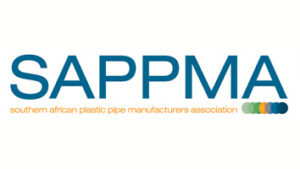 Southern African Plastic Pipe Manufacturers Association (SAPPMA) was launched in 2004 as the peak organisation representing the interests of the plastics pipe industry in South Africa and surrounding countries. Their purpose is to create user confidence in plastics pipe through the production and application of high quality product. SAPPMA’s scope of activities includes matters relating to product quality, standardisation, technical information, market education, environment, sustainability and ethics. Products produced by SAPPMA member companies carry the SAPPMA mark for clear identification.